Winter time was special in Elyria, living on the West side of town back in the 50’s. 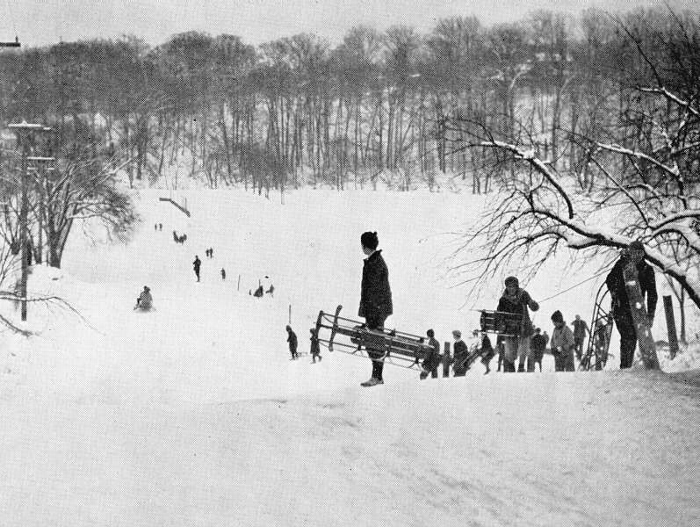 As soon as the snow blanketed the ground we’d get our Flexible Flyer sleds out of the garage, put on two pairs of corduroys or snow pants, sweat shirts, coats, scarves and gloves and head for the hill. We didn’t come home until our hands and feet were numb and our corduroys soaked all the way through to our bones.